This book hits on both of those and combines them wonderfully. 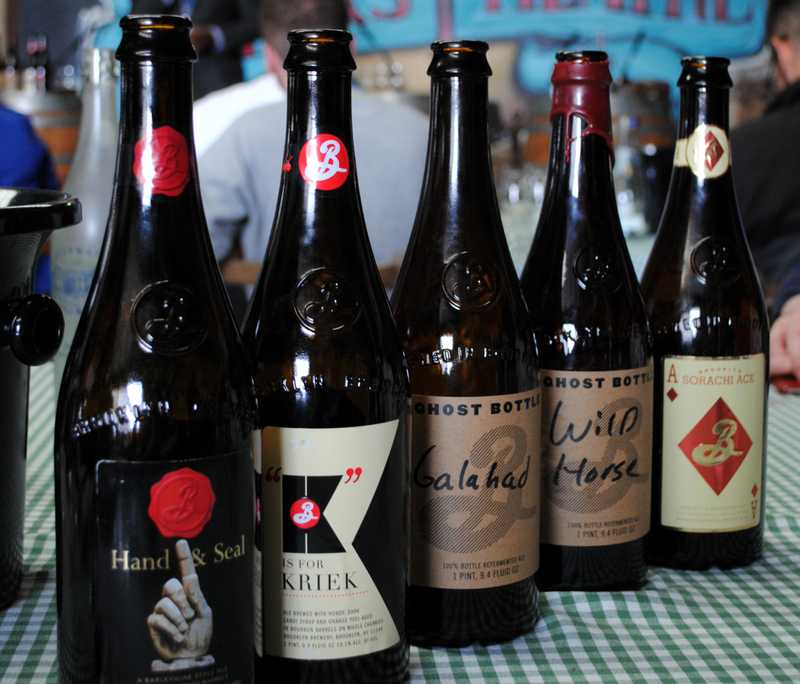 Good beers have much more complexity and depth of flavor than any wine can. Pages can include limited notes and highlighting, and the copy can include previous owner inscriptions. I thought the book was a bit Brooklyn Brewery-centric, but this is liberty granted when the author is its brewmaster. Most of the book is a lovefest with Euro beers, almost all of which I really cannot stand Flemish oud bruins are an exception , but for those who do like them, the book will give you some good, albeit dated, tips. And some of the beer descriptions were similarly steeped in history rather than descriptions and processes. Yet most people are only familiar with the mass-market variety. He definitely knows he is preaching to the choir, but effuses there is no other word for it about the perfection of every food-beer pairing with a fervent zeal that is impressive and genuine but also a bit comical after a couple hundred pages of it. If you don't, keep this in mind for the beer-lover on your next gift list. If you're not a huge fan of beer, I recommend initially reading it quickly. This book really stepped up my appreciation for beer and proper pairings with food. Garrett, along with photographer Denton Tillman, traveled throughout Europe visiting fellow brewmasters to trace the beers of the world to their sources. Some of the cuisine choices literally run the gamut but not entirely a bad thing. From his constant defensiveness of beer's food- friendliness, it seems that Garret has spent many hours of his life arguing with wine lovers over the merits of beer, which is fine, but I don't need him to claim that bee My feelings for this book are a bit mixed. My only issue with it was the non-stop digs at wine and pairing wine with food. Sadly, I have never had the opportunity to travel much in Belgium but I have had some of their marvellous beers. One can learn a great deal about the various styles of beer and the cultures from which they came. This last point is a crucial one. I wasn't keen on his treatment of American beers, though he wasn't unkind - just not as ebullient as he was for the lagers and. If you haven't had good wine with good food before, you might walk away thinking that the best wine pairings to most foods are just okay, and that there are only a few great pairings. It's been a joy to share Oliver's passion. Большинство страниц без повреждений, с незначительным количеством загибов или надрывов и подчеркиваний карандашом, без выделений в тексте и надписей на полях. Covers most everything you would want to know. To use a beer analogy, it's malt-forward, with insufficient hops to keep it from becoming cloying. The Brewmaster's Table falls into some of the same patterns, it just happens to do them better than the others. Wine is a sophisticated beverage of choice to be imbibed while dining, especially during fine dining. 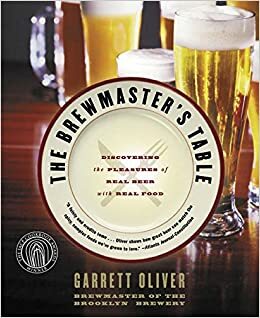 The parts to skim quickly are the stories about the breweries that produce exemplars Although it took two attempts separated by over a year for me to read the entirety of The Brewmaster's Table, it was time very well spent. We are so far apart on our evaluation of Irish stouts! He deeply explores the history and flavors of a variety of styles I can't think of any glaring omissions and gives great, but limited recommendations of what fits with each. I'm not a huge fan of his beers, but he clearly has a fine palate and his love for beer is certainly contagious. After all, this book is about the joy of beer not the formula. I like the emphasis on both complementary and contrasting flavor profiles that make for good pairings. Then, use the book as a reference when you decide you're ready to learn more about a specific beer style. For serious beer lovers of all ages this book is a treasure of information and inspiration: a brief history of beer and descripton of the brewing process, a well-thought-out primer to the various taste elements that combine to make the beer experience without getting too snobby, and then the bulk of the book: a style-by-style guide to a sizeable number of the world's great beers, with extensive suggestions for food pairings with not just each style but often with each individual brewery's product within that style. If you're not a huge fan of beer, I recommend initially reading it quickly. It is but a watered down travesty. 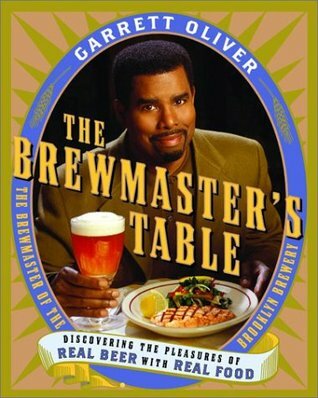 It was a lively read and Garrent Oliver's passion for beer propels this book forward on every page. When my long threatened app for beer and food pairing is complete, there will be no doubt that it was influenced by ideas in The Brewmaster's Table. Garrett, along with photographer Denton Tillman, traveled throughout Europe visiting fellow brewmasters to trace the beers of the world to their sources. This book by Garrett Oliver is one of the most used books in my collection. There is so much good information about different brewing traditions, beer styles, and top breweries, though, and that makes this totally worth the read. A helpful, though not spectacular, guide to beer and pairing it with food. The sections on pairing with food are fantastic, and the afterword is essential, especially if you want to know the temperatures at which to have beer. 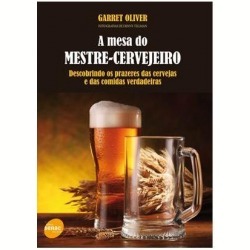 It is not simply a guide to beer and food as the name might imply, it is an encyclopedia of beer, a veritable beer appreciation course in a book. 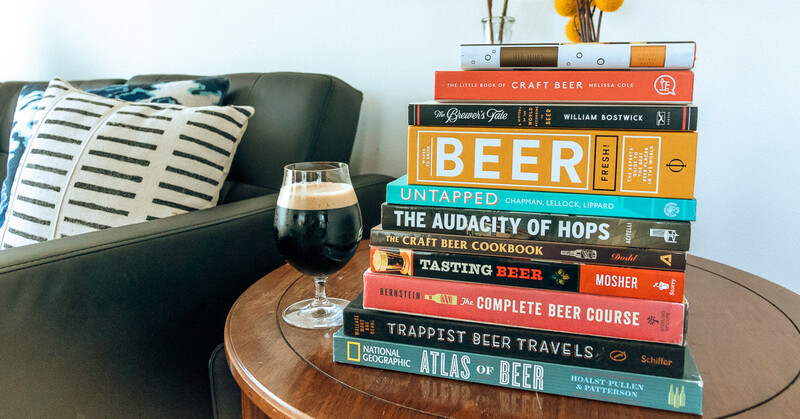 My biggest criticism of most beer books is that they attempt to do too many things in one book. You can find a beer that can pair well with any dish. Well, I know I am at odds with many fans, but as I said above. O único problema é que ele dá muita vontade de comer e beber todas as sugestões indicadas. However, the constant references sometimes more than once per page to wine's inadequacies for food pairing are obnoxious. All in all, a superb book. Oh My Flying Spaghetti Monster! At times Oliver can be a little too enthusiastic about his beloved beverage, and he can't seem to restrain himself from making snide little digs at wine aficionados every dozen pages or so. Wine is seen as sophisticated and beer is thought of as blue-collar.